The periodic abstinence from olive oil is one of the hardest parts of fasting. But why is there such a prohibition? Religious fasting nutrition is a form of self discipline. It can be also a form of commemoration of saints or precede important religious feasts. 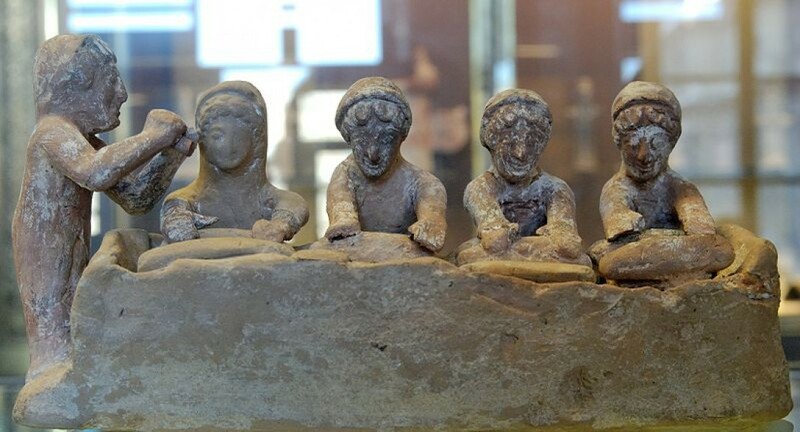 Though early Christian writers had opposing views on fasting and of making food a religious concern, early Christians took the practice of fasting from their Jewish background and enthusiastically included it among other selftortures. As virginity became a central Christian value, fanatic ascetics waged continuous battles against the demon of lust. Since lust originated in the flesh, the flesh should be starve. Stomach and pudendum were said to be united, otherwise stomach ” would not have been fixed to the belly rather than elsewhere.” (Tertullian, On Fasts 1. 1-2) In order to avoid the temptations of lust and gluttony, ascetics restricted themselves to small amounts of bread or rusk and water for several days. It was not uncommon for some of them to exist for years on the Eucharist or on a single fig. Their diet was the extreme form of xerophagy – “dry eating” (Gr. xerofaghia / ξηροφαγία). The Egyptian ascetic ideal served as the prototype of Christian monasticism in the Byzantine Empire. 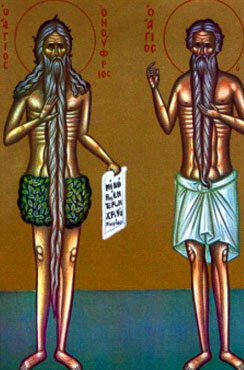 Byzantine monasteries maintained the tradition of xerophagy during fasting periods. During Great Lent xerophagy was prescribed on Wednesdays and Fridays. In some monasteries with stricter rules of eating, Mondays were also observed as xerophagic days. 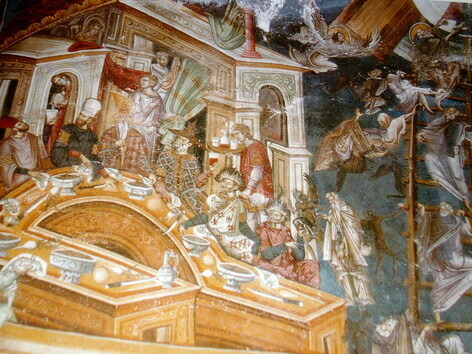 Olive oil was prohibited, but in some monasteries could be replaced by olives or sesame oil. However, in areas where olive oil was a staple good of daily consumption, sesame oil was considered as fake oil. Where olive oil was not a major part of the diet, the prohibition sometimes included all vegetable oils. Greek Orthodox Fasting, following the Byzantine fasting rules, also uses sesame oil or sesame paste (tahini) instead of olive oil. *On any other day, olive oil was used as an addition to various dishes or for cooking, but not for frying. Great post- not sure I really want to give up my olive oil – does that make me an addict 🙂 ? That tahini soup sounds right up my culinary alley! I would not feel too deprived eating this, i tell you! Magda, the recipe still remains unchanged. Another lovely and informative post Mariana! Tahinosoupa from 1929…interesting! Indeed, tahini for hard-working, fasting monks was not a fortuitous eating solution: biochemically a real very rich content!!! After reading your post, I took a glimpse on my mirror. Why do I look like John the Faster (a.k.a John Nesteutes)? Where the hell are all the kebabs I eat going?